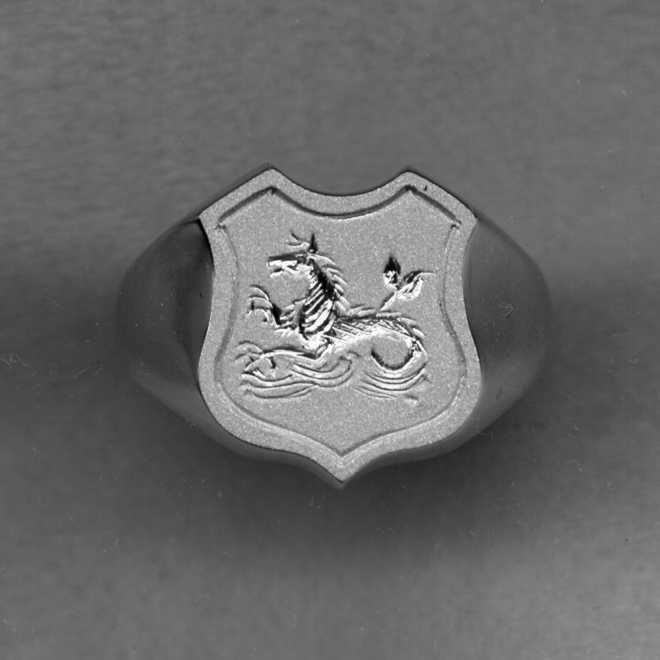 All rings shown below are intended to be hand engraved with your own crest, either from our database (using the yellow box above) or from your own artwork if you already have a crest. 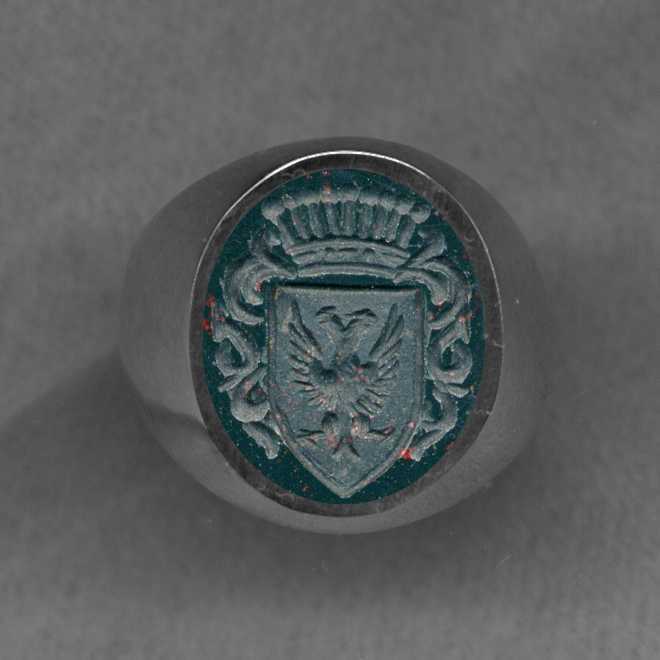 Full Money Back Guarantee! See our FAQ for details. 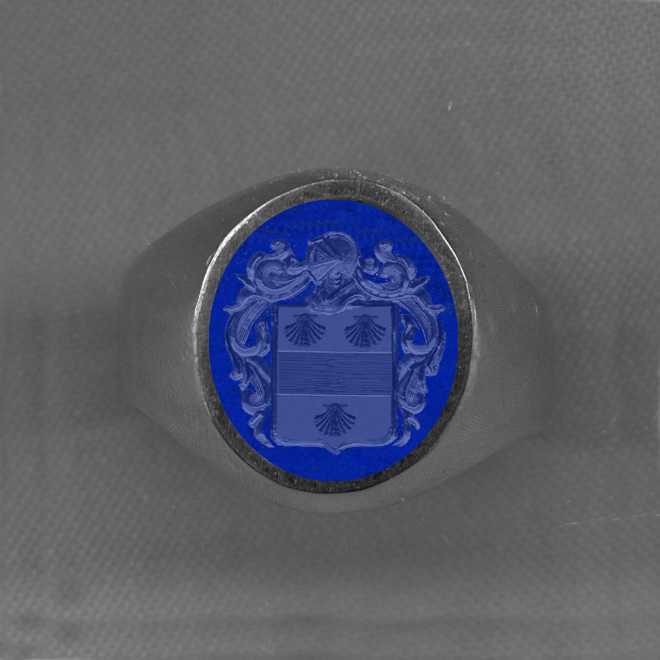 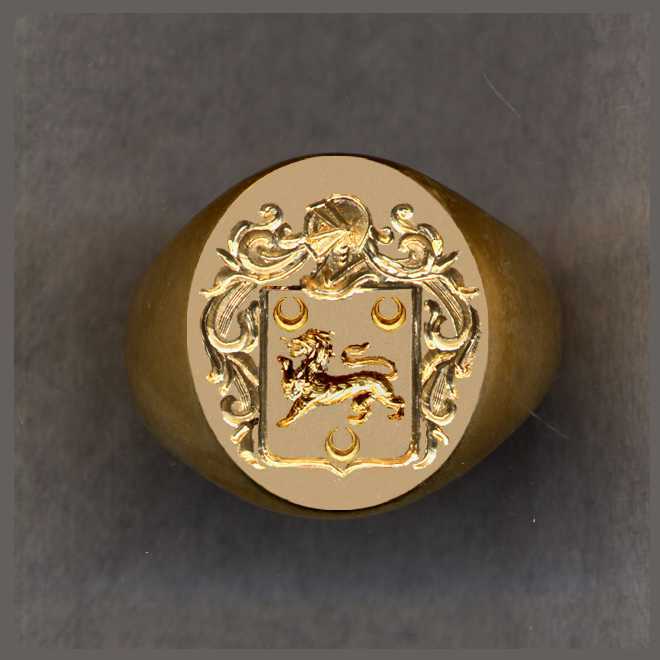 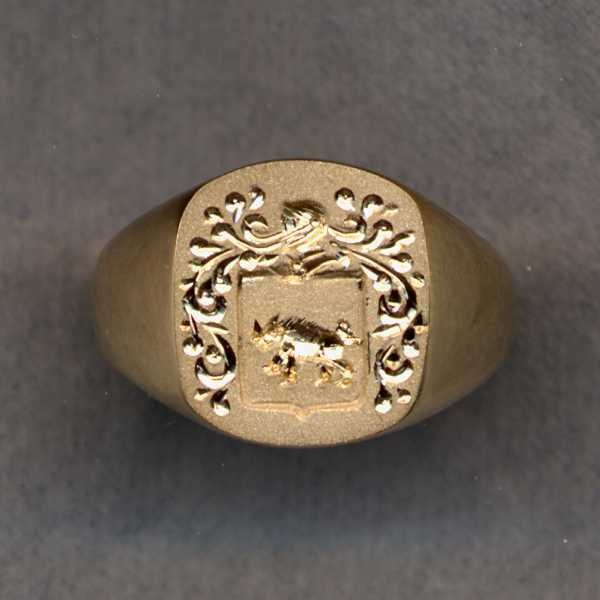 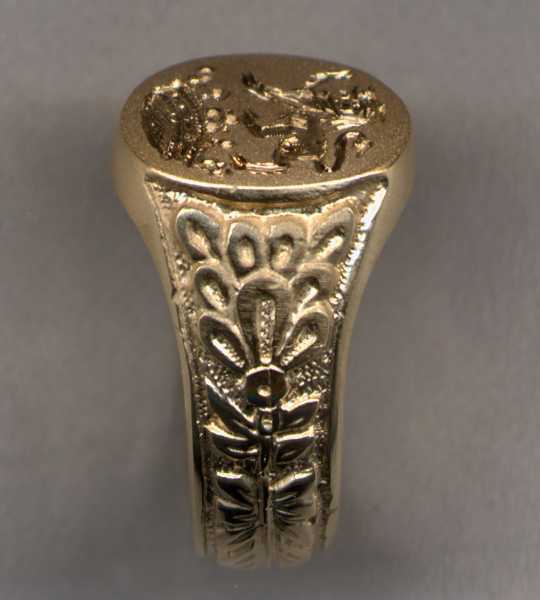 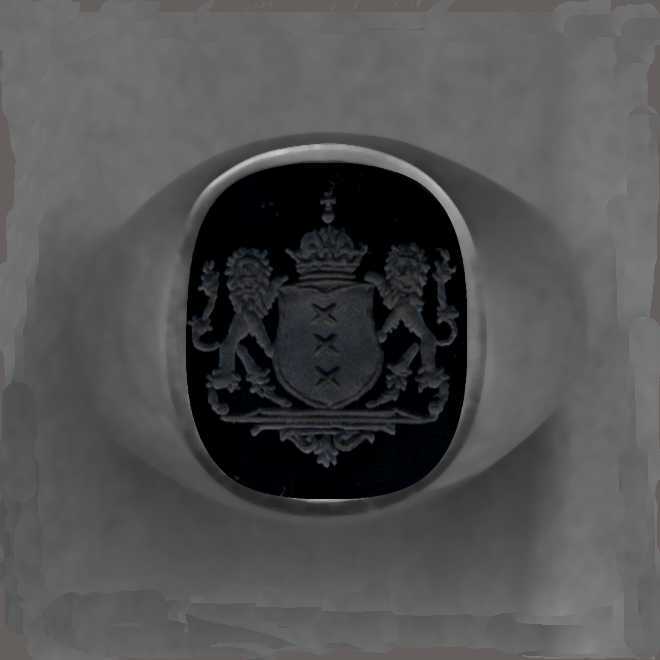 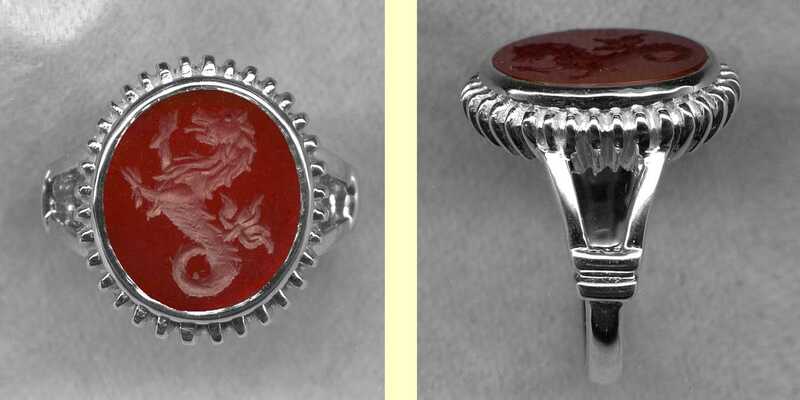 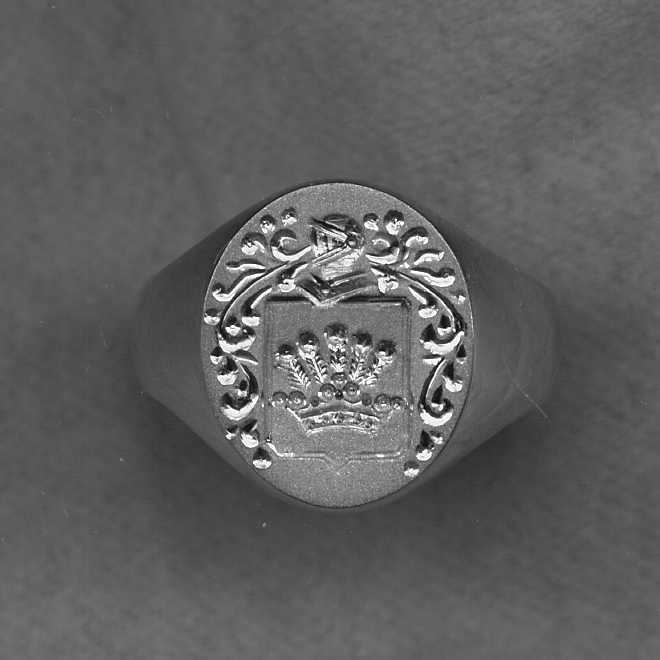 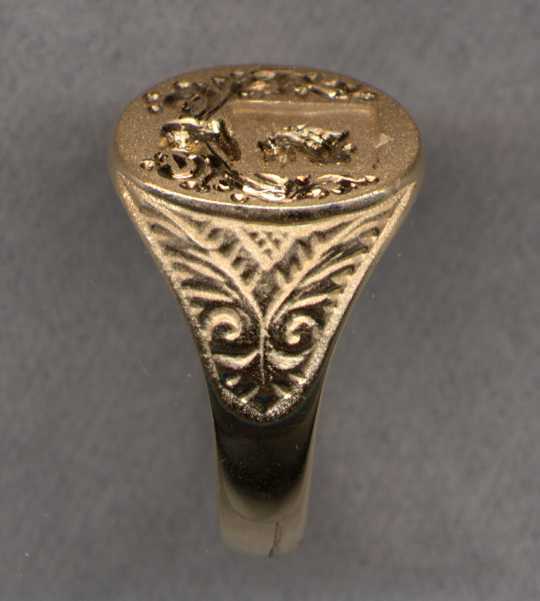 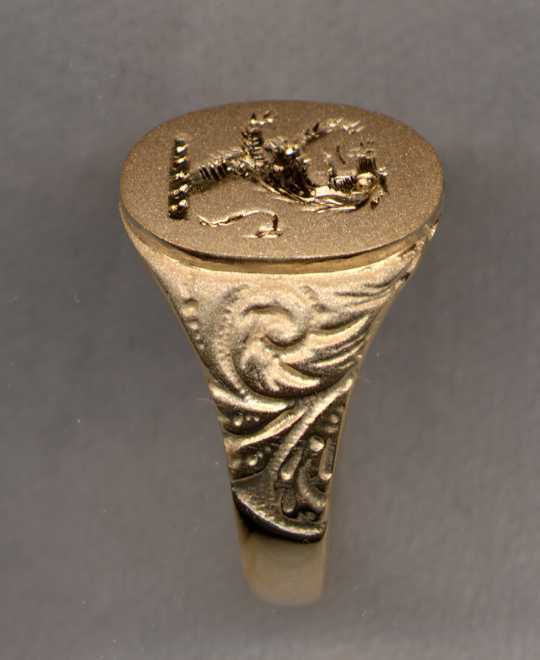 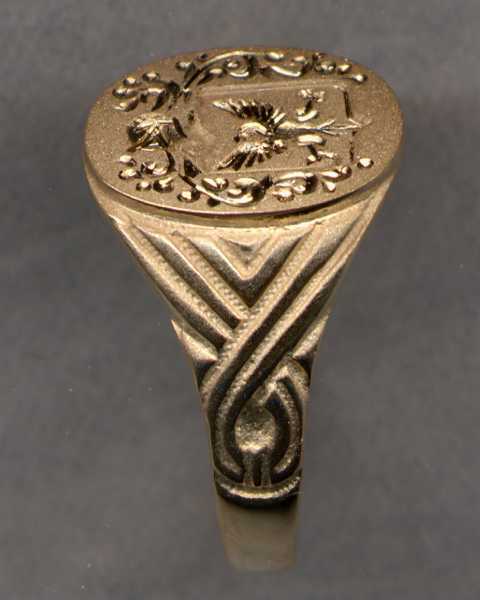 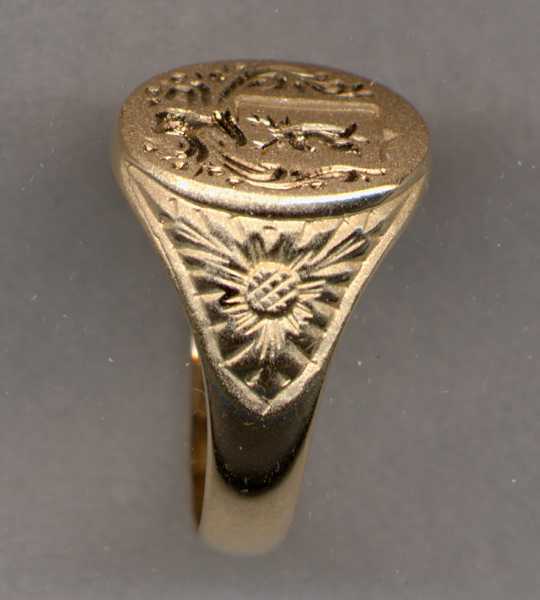 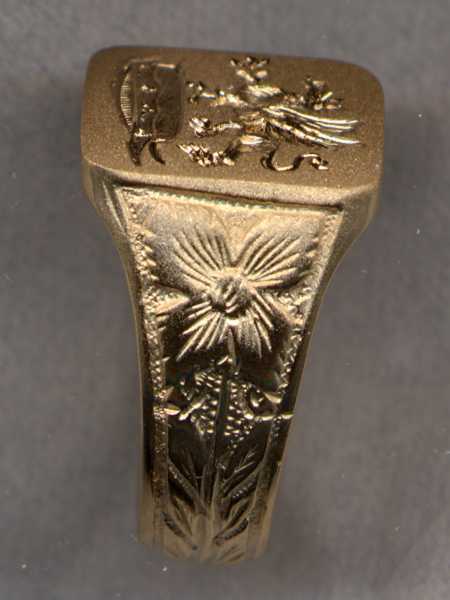 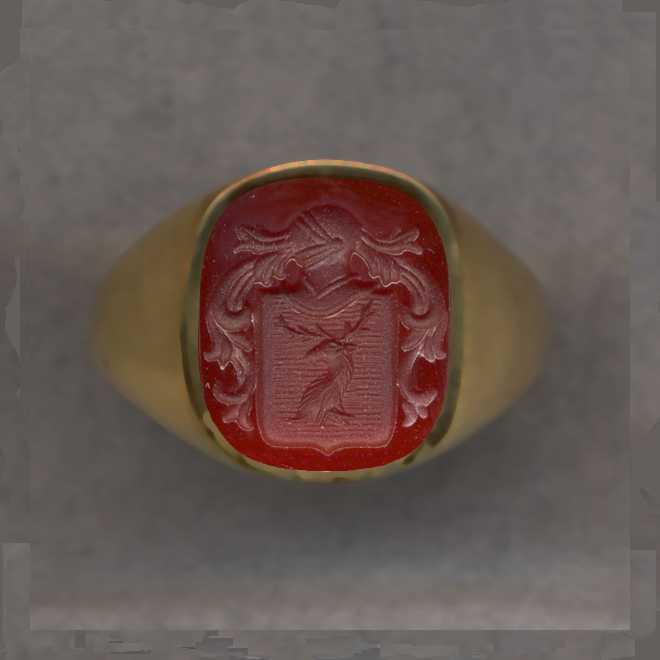 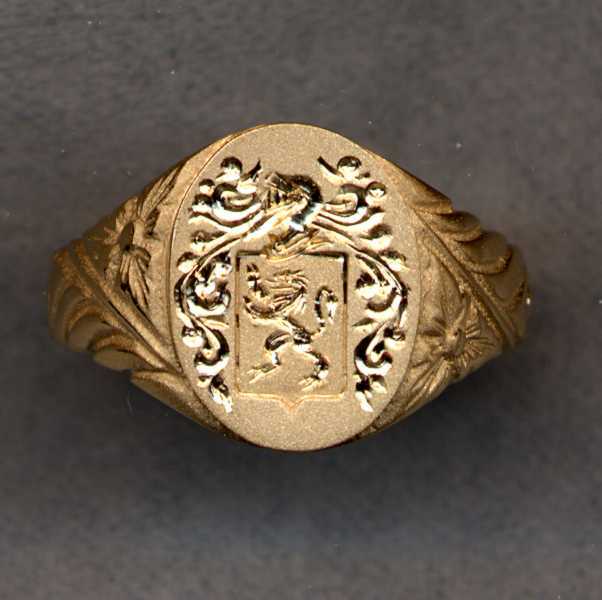 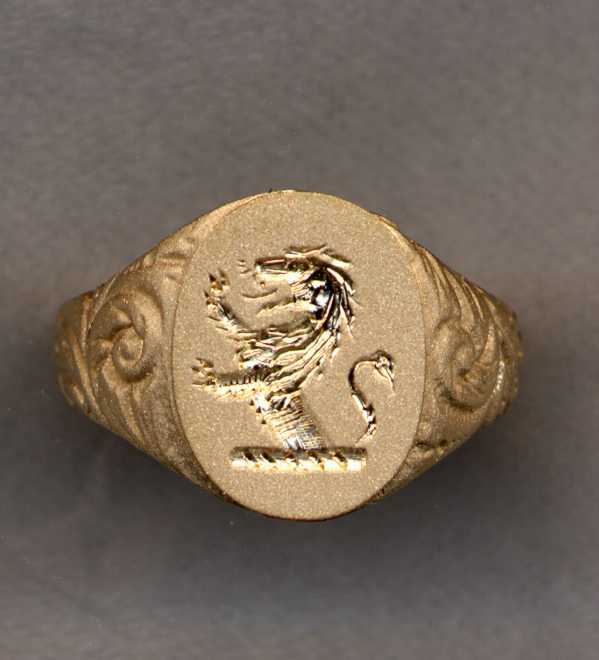 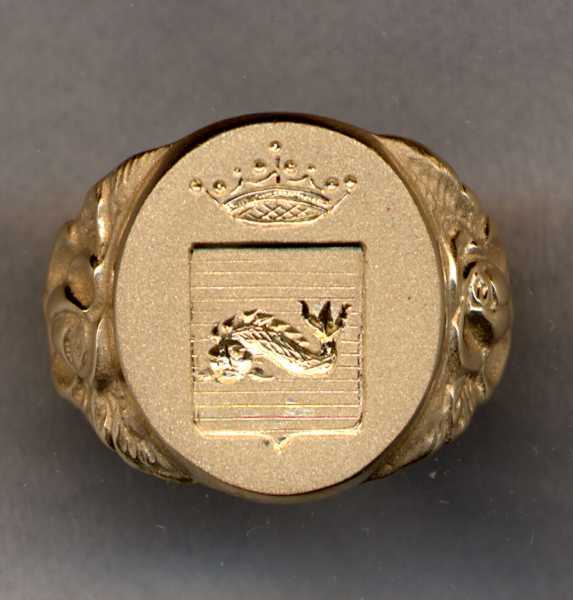 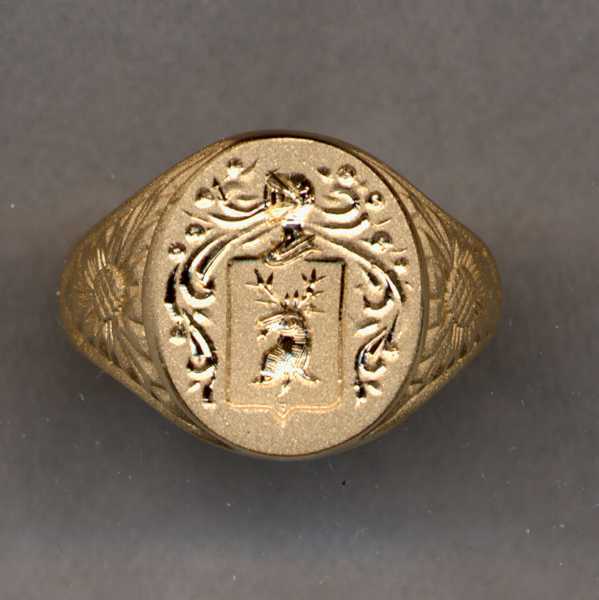 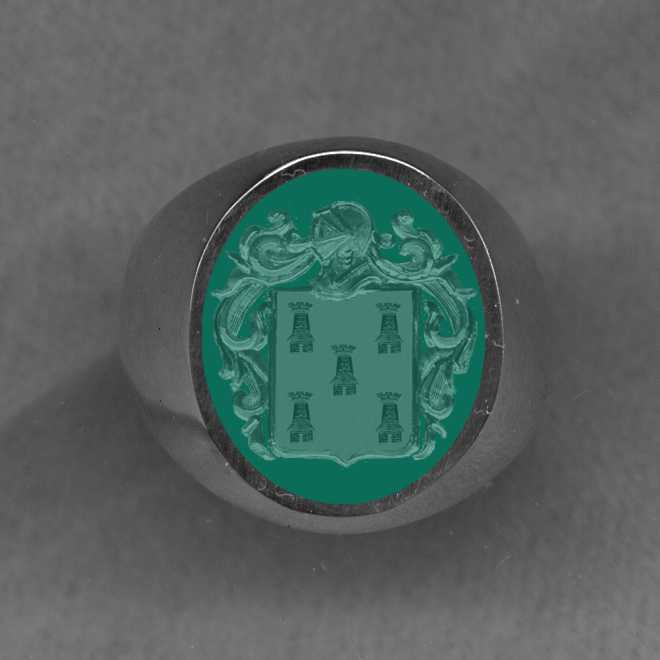 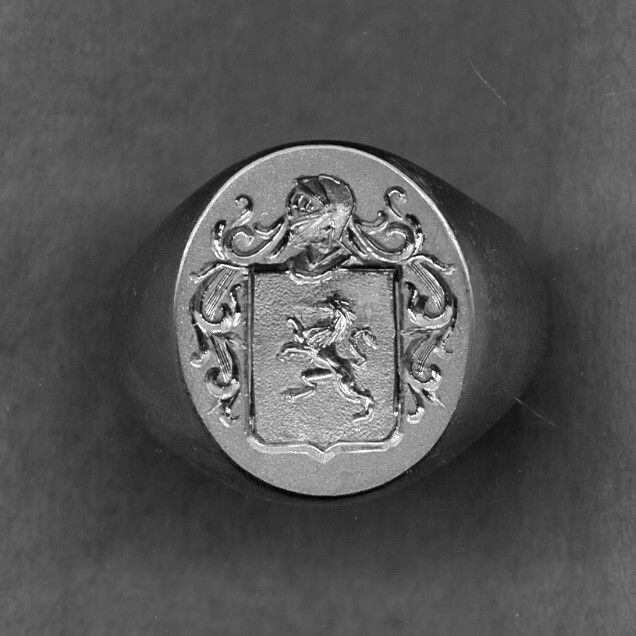 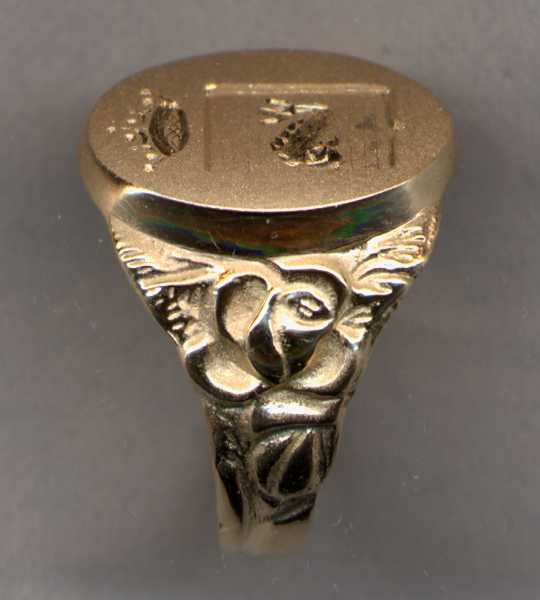 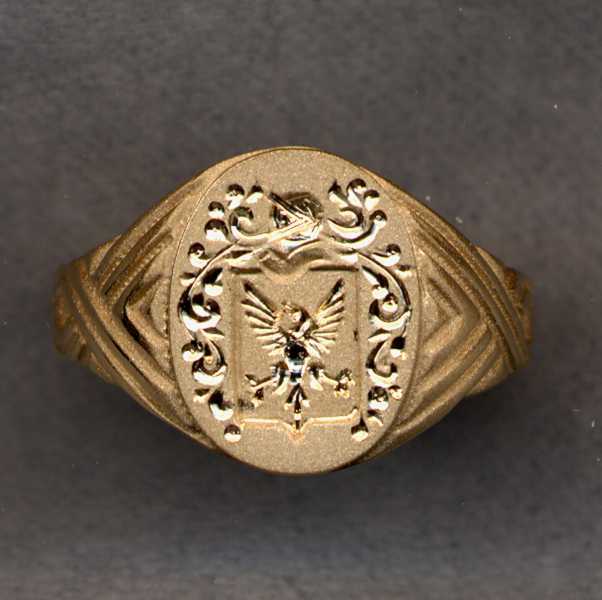 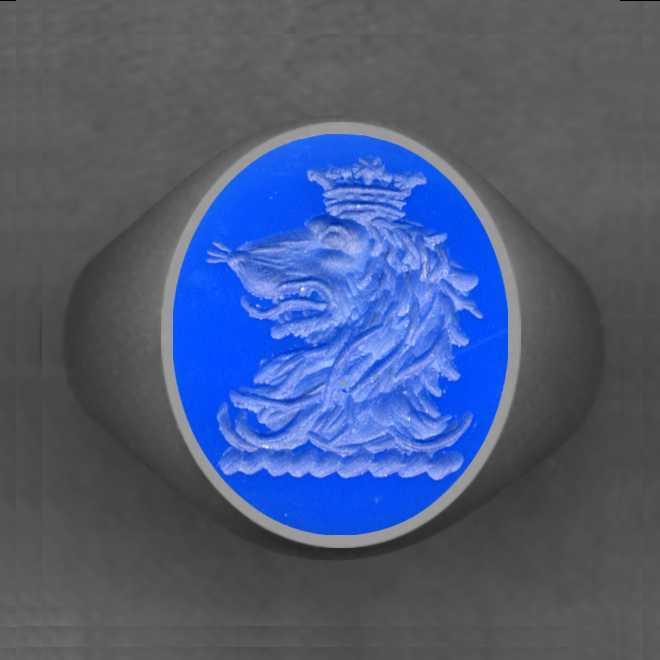 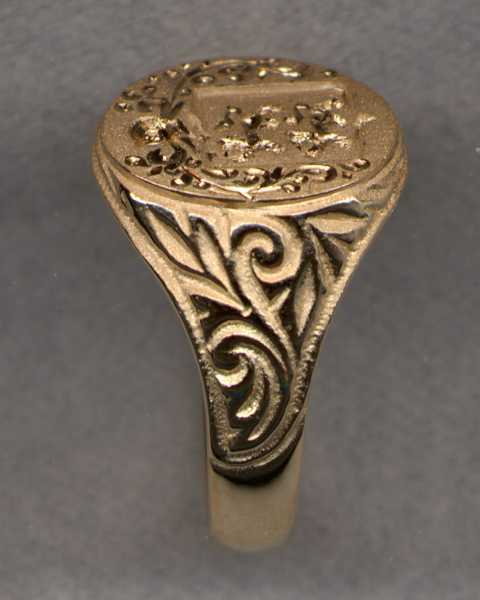 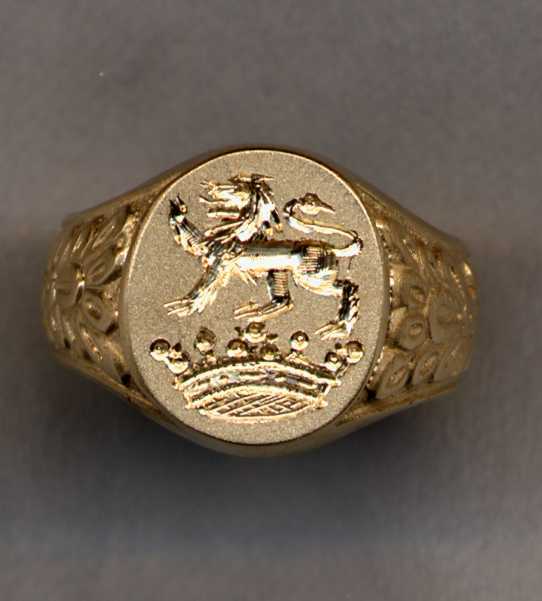 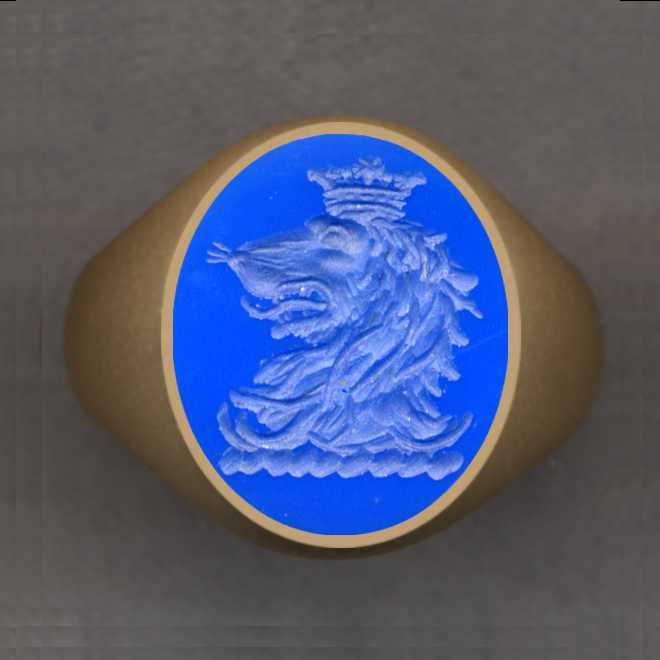 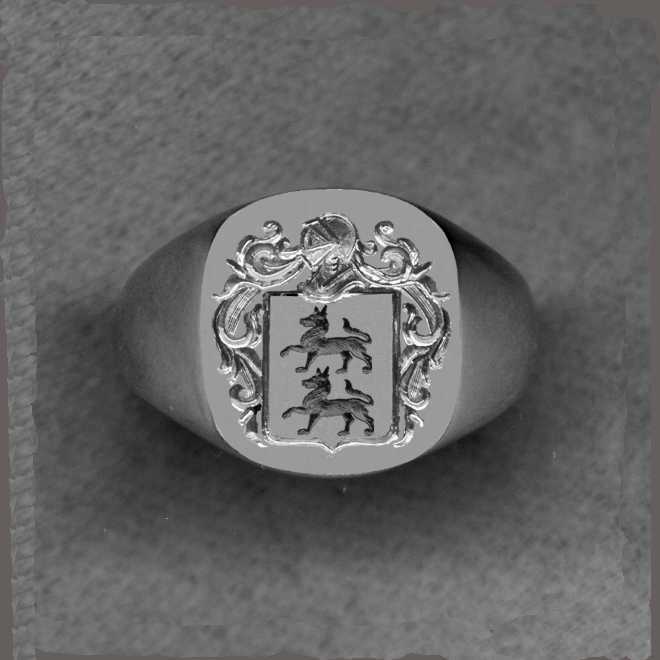 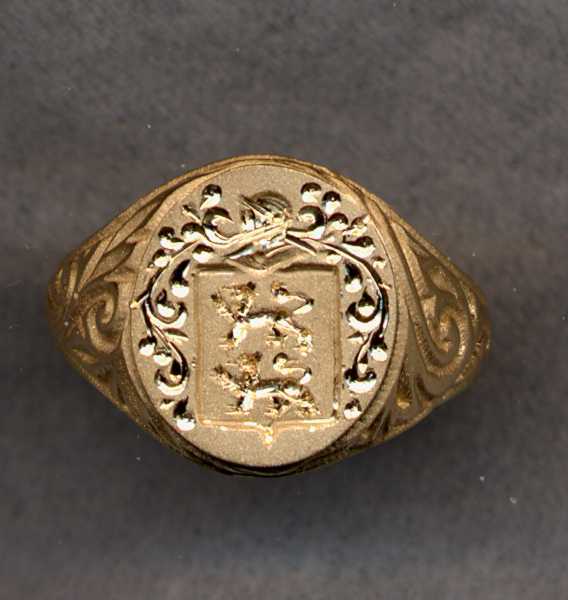 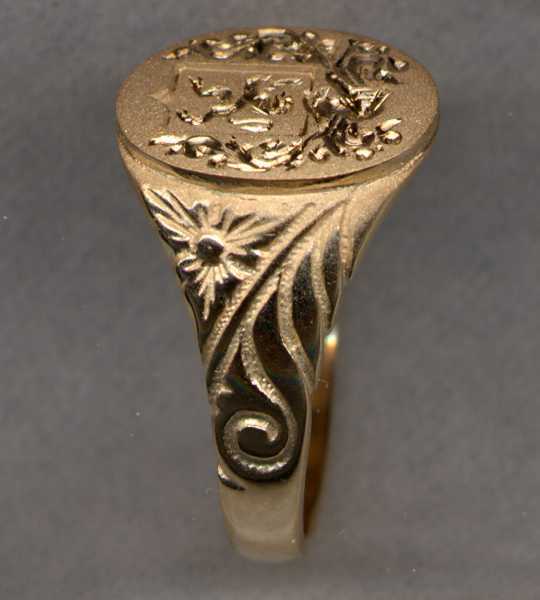 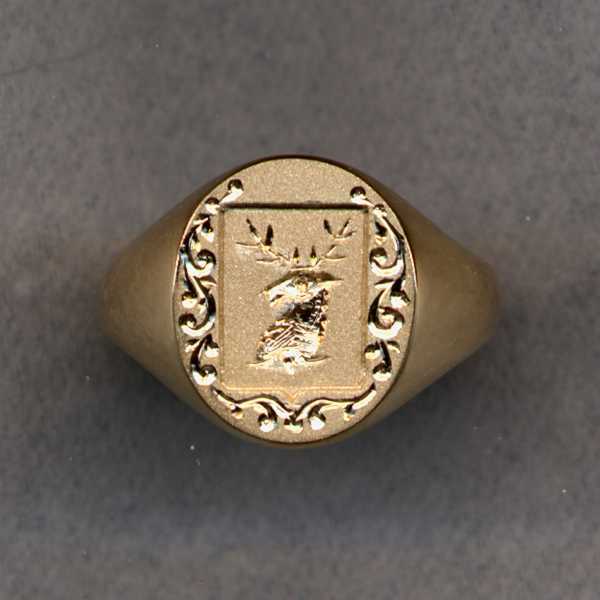 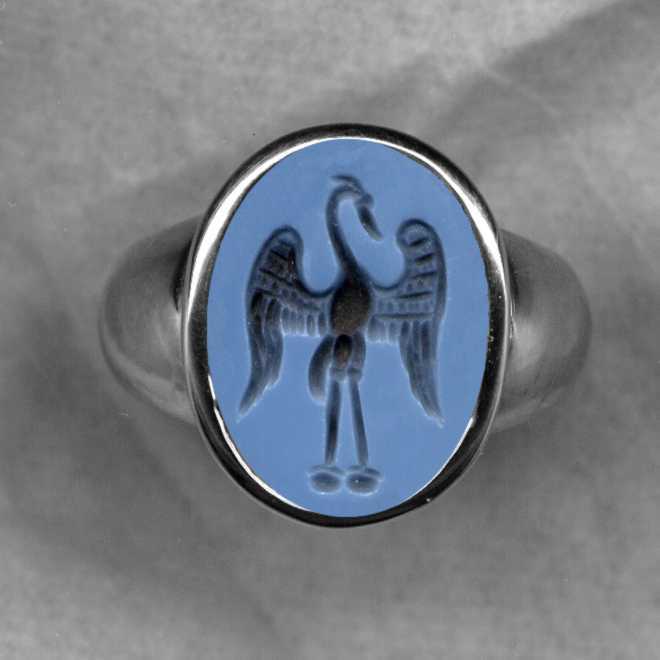 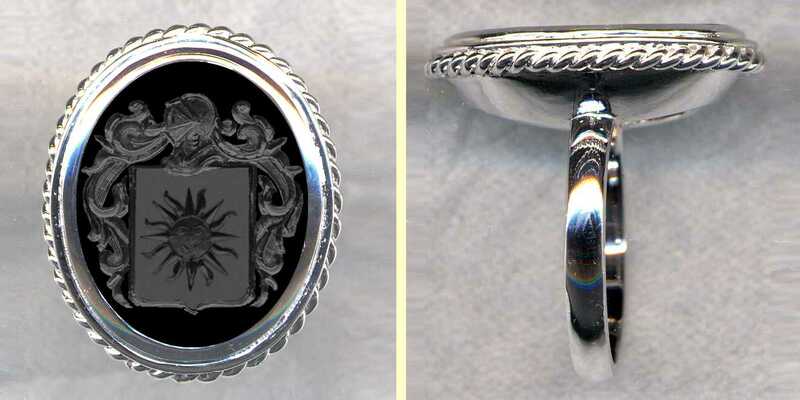 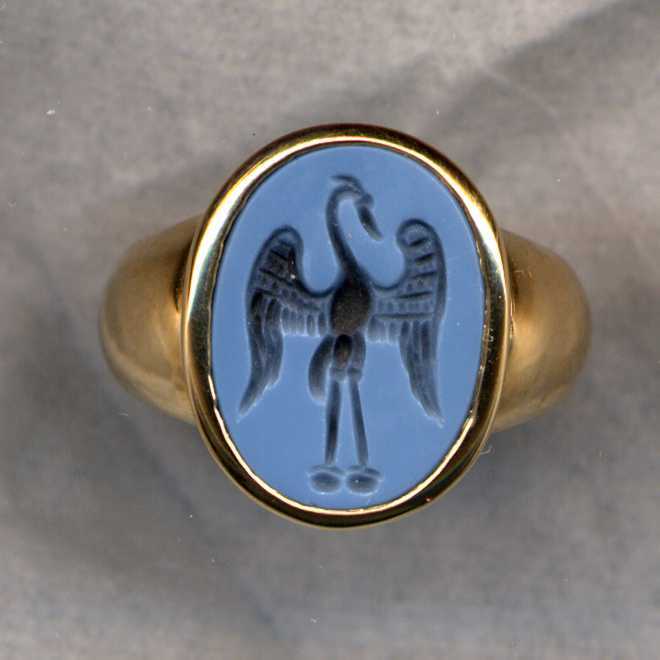 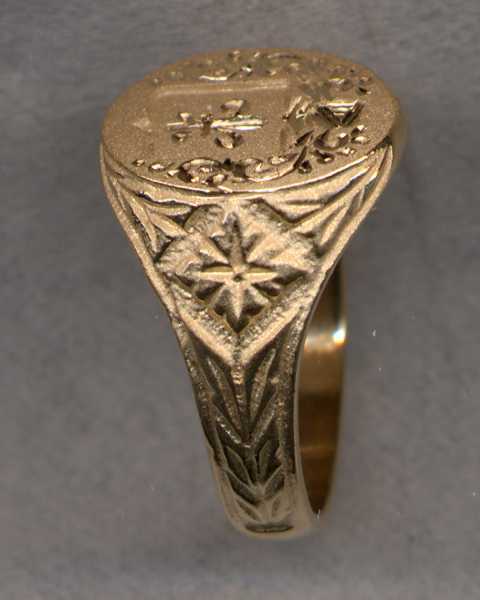 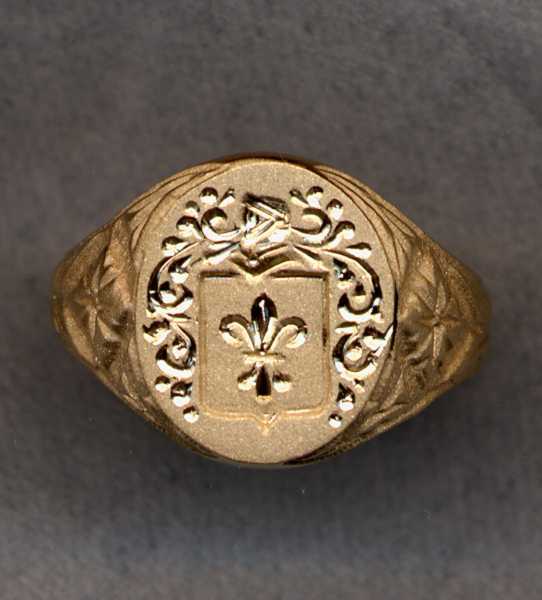 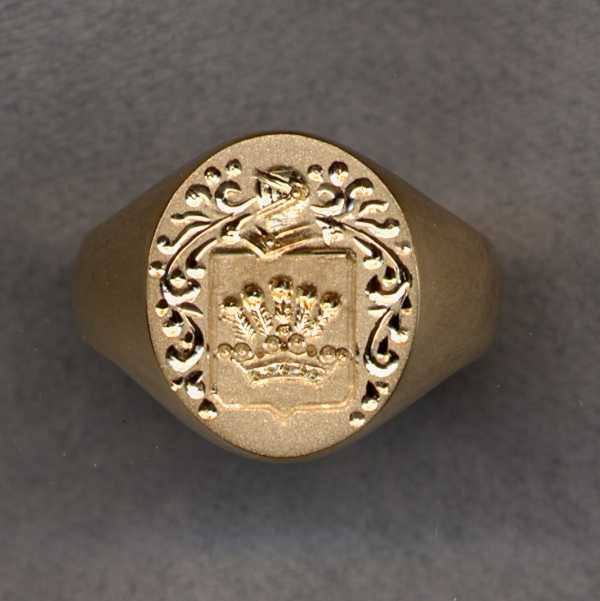 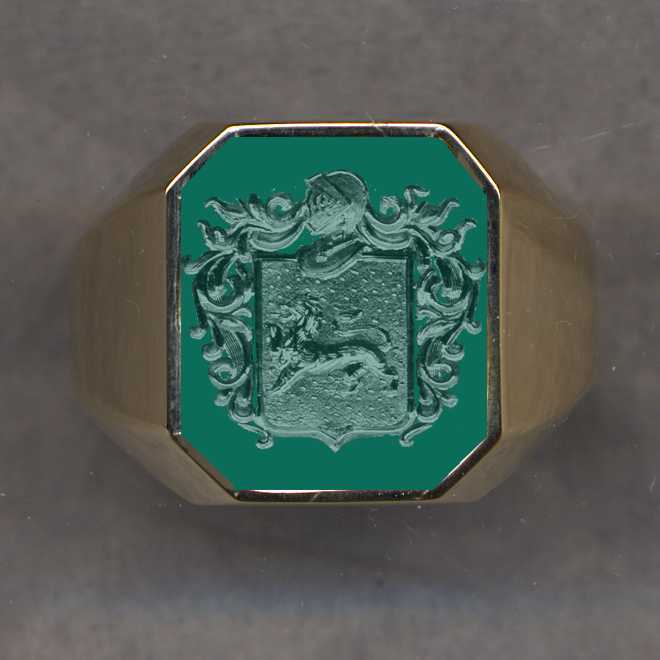 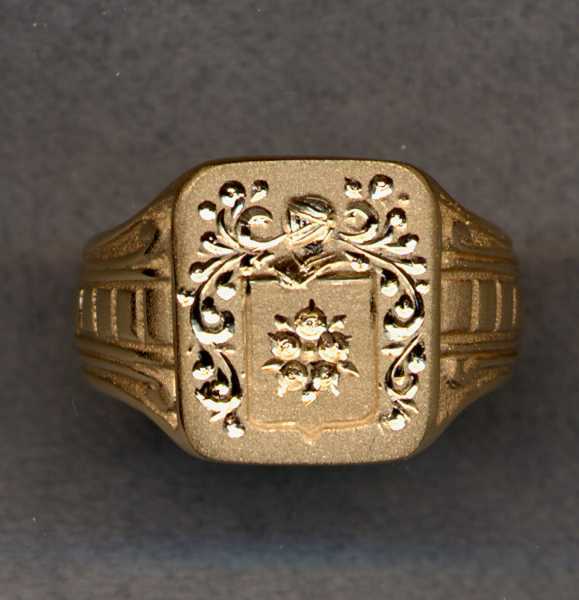 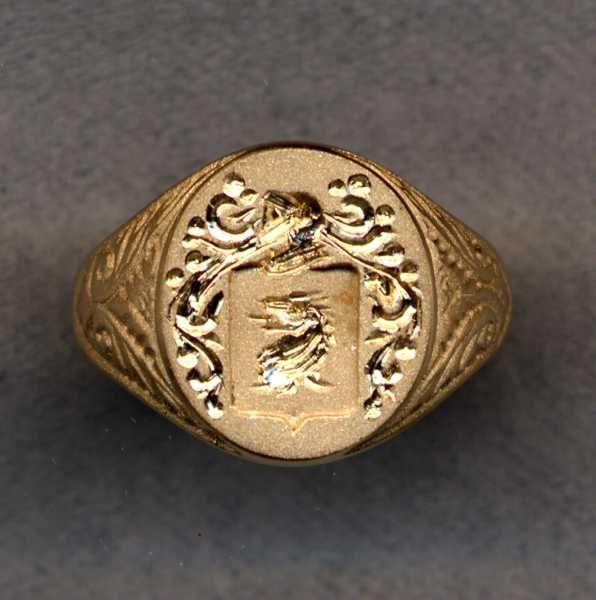 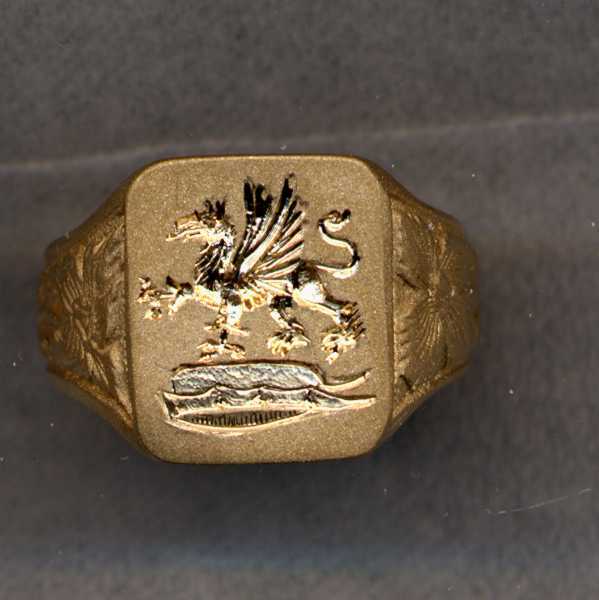 Free Proof: If you want to see what your crest would look like on the ring of your choice, give us a call. 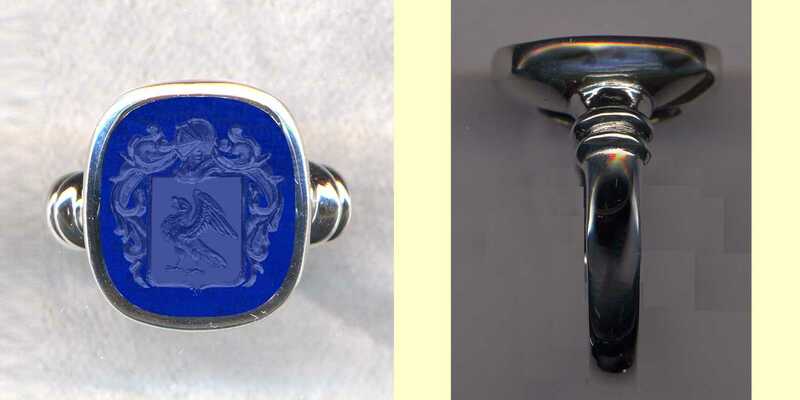 To place an order, or for any questions you may have, please call us at 1‑800‑782‑0933 or +1 212 719 4204 or send an e-mail to jcuchi@heraldica.com or fax +1 212 719 4369. 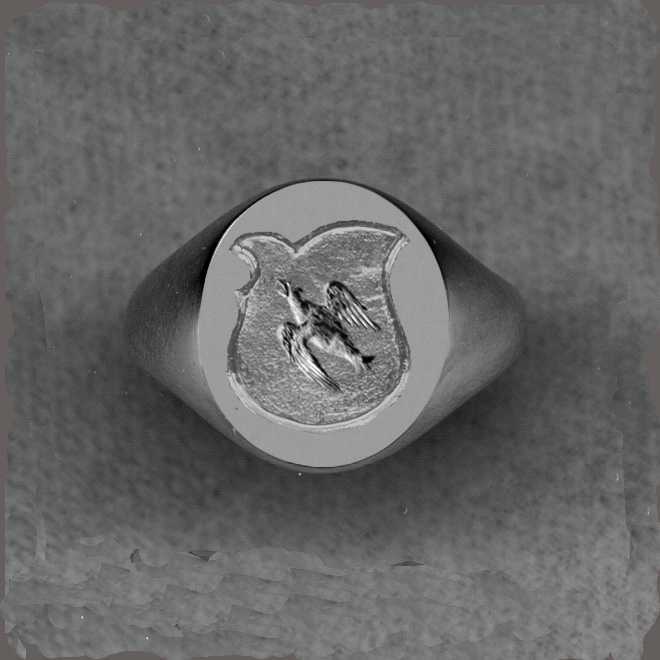 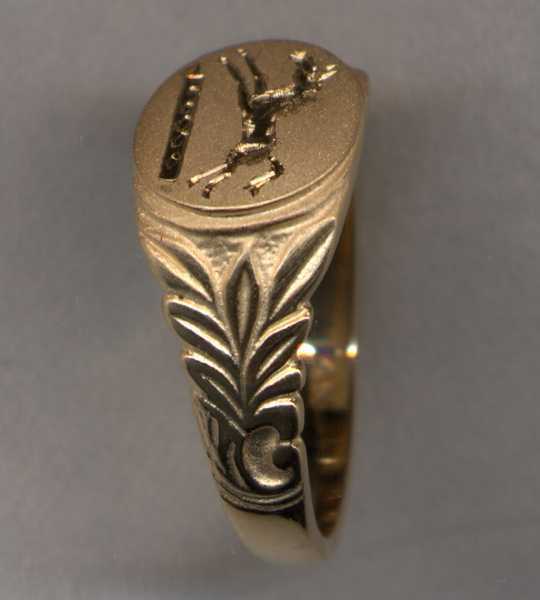 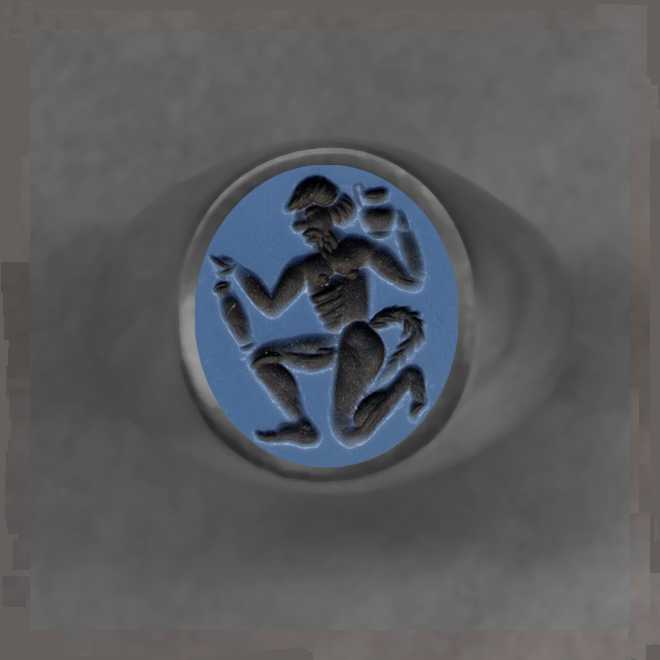 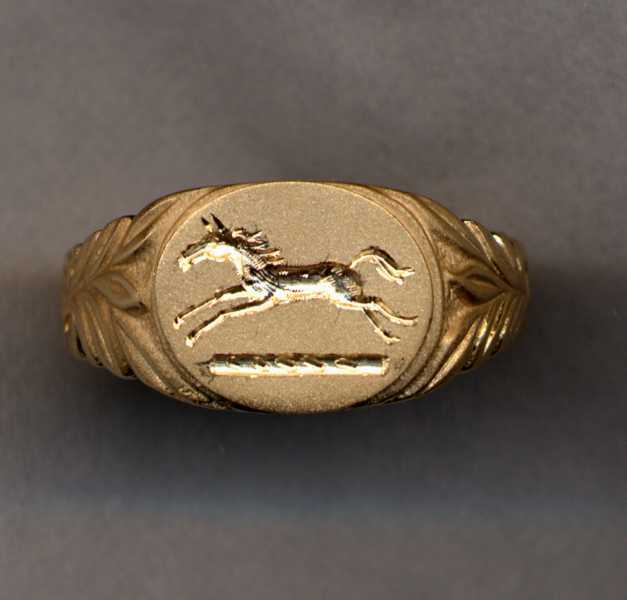 We can also engrave on your own ring. See the Ring Hospital page for details. 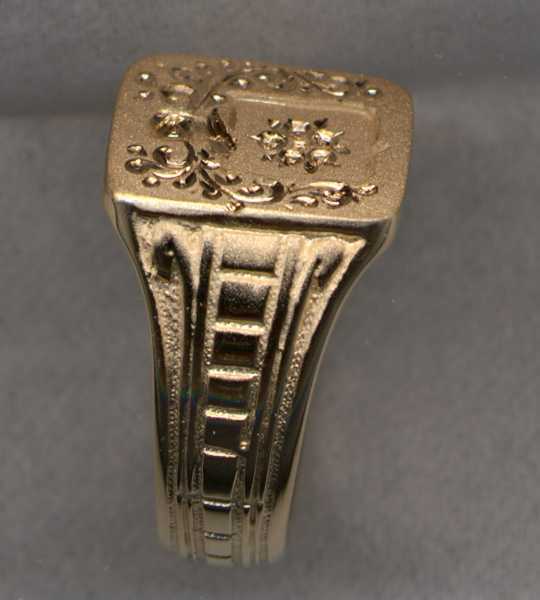 If you want to see the actual ring of your choice on your finger before you place the order, call us or see the Pre-Purchase Inspection Plan. 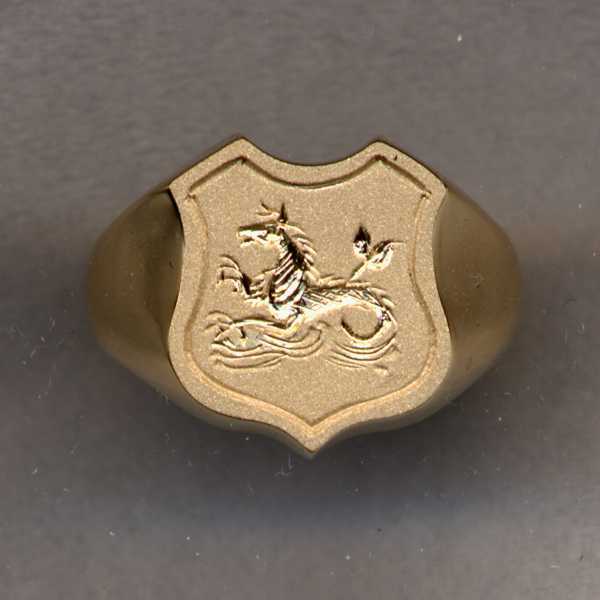 Gold Buying Service: This service lets you trade in your old gold towards your new crest jewelry.